The RealHead 12" Drum Pad is a velocity-sensitive electronic drum pad featuring a real mylar drumhead and a triple-flanged hoop for the most natural-feeling electronic drumming experience available. 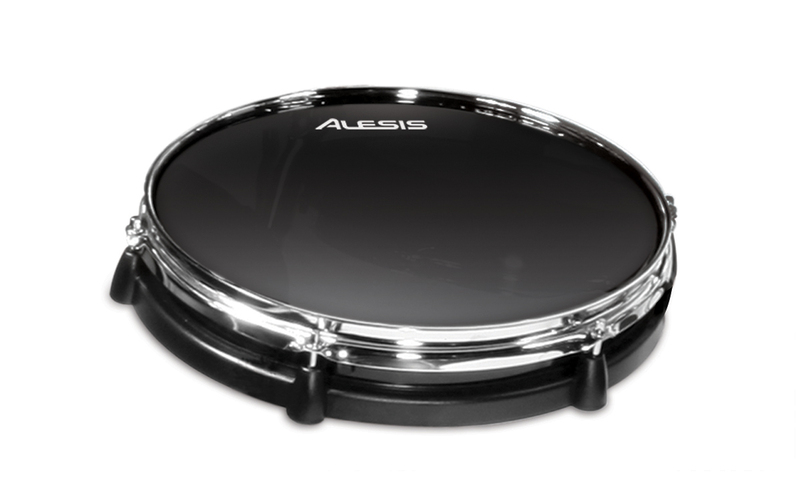 Its dual-zone sensing enables you to trigger different sounds from the head and the rim. The drumhead tension is adjustable using a standard drum key, and the head is also replaceable with a standard 12” drum head. The RealHead 12" Drum Pad works with virtually any electronic percussion device or module including the DM10, DM5, Trigger|iO, and ControlPad.